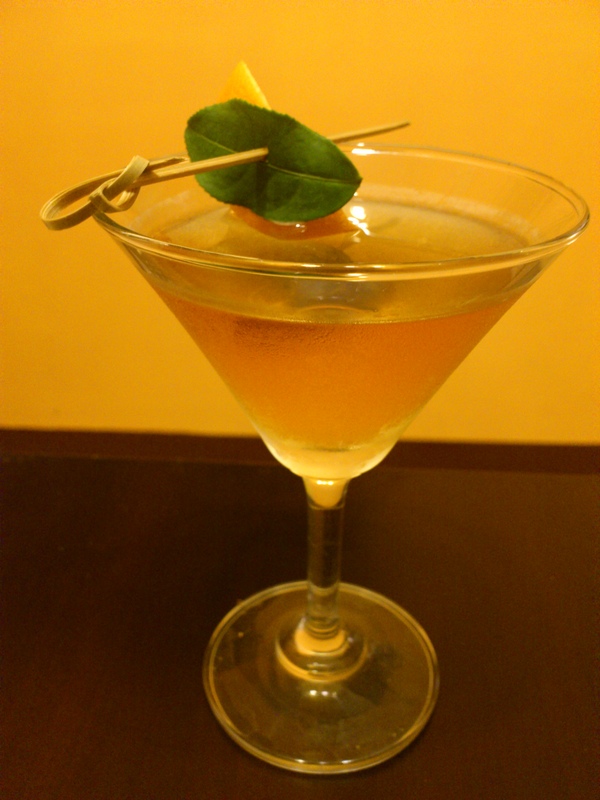 It’s Mixology Monday again and this week’s challenge – ‘It’s Not Easy Being Green’ – sees me joining up with another Taiwan-based beverage enthusiast, Tearroir, and making a Taiwanese tea-infused Scotch drink which I’ve named the Sucha Rob Roy. MxMo is a monthly gathering of cocktail bloggers, and this month, hosted by Ed at Wordsmithing Pantagruel, sees us making something with one or more significant ingredients which must be green. (Edit: Summary now up here.) I’d just bought my first bottle of good, smoky Islay Scotch and couldn’t help but think ‘Green tea would be good infused in this!’ Well I wasn’t the first to think of infusing Scotch with tea, of course, and further research also led me to see that MxMo had already used ‘tea’ as a theme. No matter. I was keen to try my local Taiwan tea with some Caledonian peat-juice. Not only am I a beginner when it comes to Scotch, but I know nothing about tea, which is a crying shame, as, being in Taiwan, I live right in the middle of one of the very best tea-growing countries on the planet. Some of the best high-mountain oolongs and other teas are grown within easy driving distance of my home. So that’s where I turned to local expat operation Tearroir for help. Not only do they sell some of Taiwan’s finest tea, but their mission is to try and let Western tea-drinkers have the same informed, appreciative experience of drinking tea that wine-lovers have drinking wine. Last weekend I had a great lunch with one of Tearroir’s founders, Austin, to learn something about Taiwan tea. Austin first came to Taiwan to further his Chinese studies, but ended up spending more time in mountainside teahouses than in the classroom, and, incidentally, learning more Chinese from tea masters – happy to talk for hours about their passion – than he did from his professors. On his return to Taiwan, Austin knew he was going to do something involving tea, and after meeting oenophile, David, they had the idea of not just selling some of Taiwan’s teas, but also trying to help develop a tea-appreciation culture similar to that which exists for wine. I love the way Tearroir’s passion for tea matches the passion for spirits and cocktails held by those of us involved in, or influenced by, the ‘craft cocktail movement’, so this week’s cooperation with Tearroir goes further than just picking up some tea from them. But, I did pick up some tea. The first is called Tie Guanyin, which means something like ‘Iron Buddha’ in Chinese. 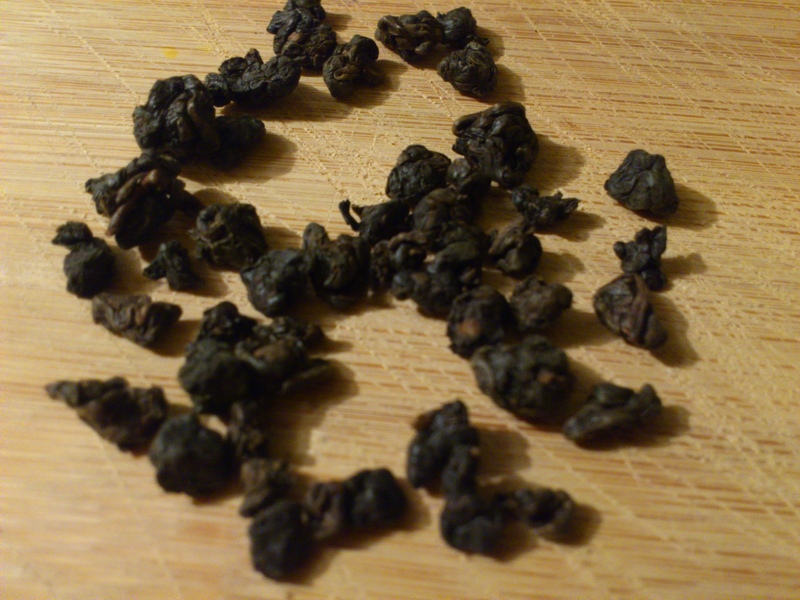 It’s a tea which is very similar to (and often thought of as being) a dark, heavily roasted, high-mountain Oolong. My novice taste buds got an immediate impression of good deep earthiness (a taste I love in spirits), then some richness, and some pleasant, slightly bitter tannins. The second tea I tried was Pu-er tea, (Pu-er Cha)which is made in China (Yunnan), but, in this case, undergoes extensive ‘post-fermentation’ and aging for 15 years in Taiwan, which gives it its distinctive characteristics. An aged tea with an aged spirit seemed like a good choice. 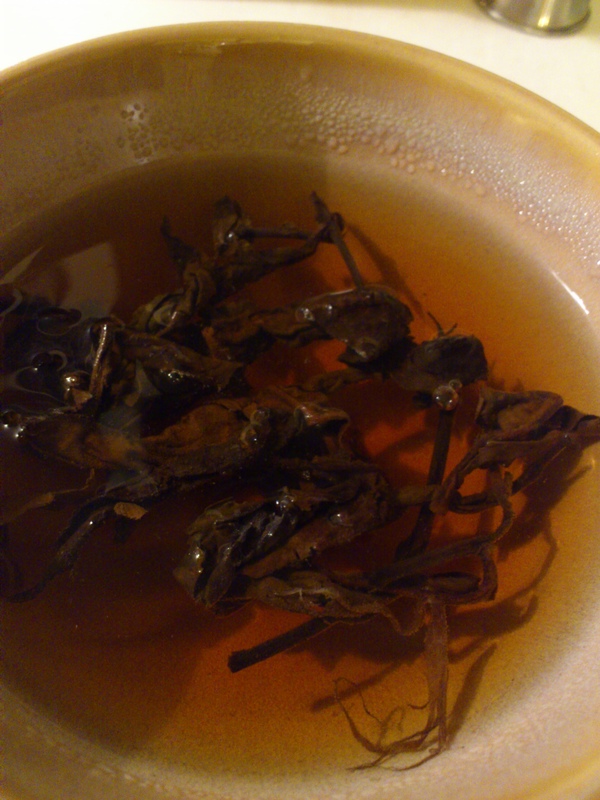 On tasting this tea, I was even more impressed than with the Tie Guanyin. I loved it. It also had some clay-like earthiness, but seemed much deeper and richer, with more complexity and a heavenly aftertaste. Next I started to infuse the tea in the Scotch – a bottle of Islay Bowmore 12-Year. My online research gave infusion times ranging from two minutes to two weeks, so I was really not sure if I was going to get a good result first try. With that in mind, I only infused a small 180 ml, (giving me a result of about 150 ml) of each tea, which didn’t leave much room for experimenting with different cocktails. 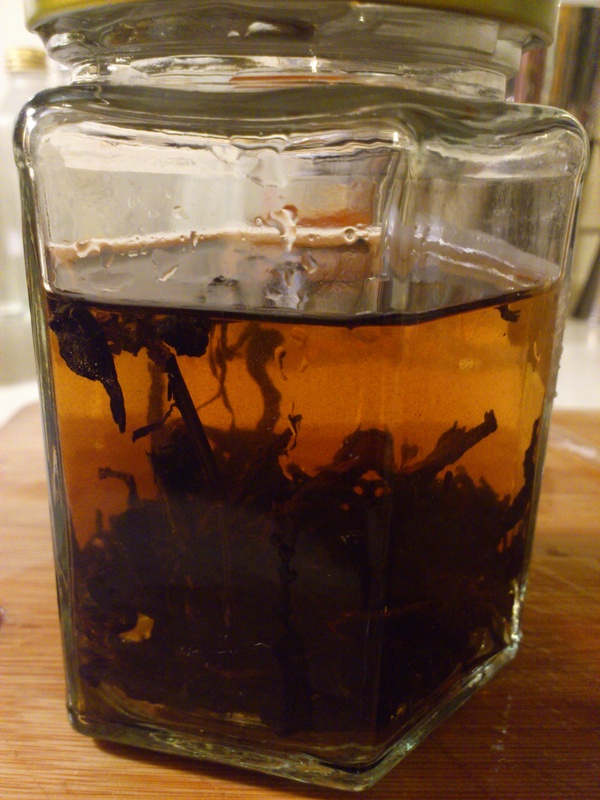 I started with the Tie Guanyin, adding a level tablespoon to the Scotch in a sealed jar (the leaves are very tight, almost like peppercorns, so this is quite a lot) and shaking a little now and then. After ten minutes the taste was already detectable, and I stopped it and strained it at twenty. It’s by far the easiest infusion I’ve ever done. The Pu-erCha is much looser and leafier, so I added a 1/4 cup. After an hour there was little effect, so I left it for two. Unfortunately, it was a little long. An hour and a half would have been much better. I left both infusions a few days to mellow. I’m not sure if that was necessary, but I was out of time anyway, and wanted to get into some cocktail-tasting fresh, later in the week. The Tie Guanyin was the clear winner of the two. Sipping it neat, the first impression is all smoky Scotch, but then a strong clear earthy tea aftertaste comes through, rising delightfully and giving a warm flush to the sides of the mouth. I love it. It truly exceeded my expectations. It made me think pleasantly of fresh rain on deep grey granite. The Pu-er Cha was less successfully. I’d let it become too bitter, and it was not a nice sipper. Also, the flavours just didn’t really match those of the Scotch as well. Stir all with ice. Strain into a chilled martini or coupe glass. Optionally, garnish with a tea leaf. 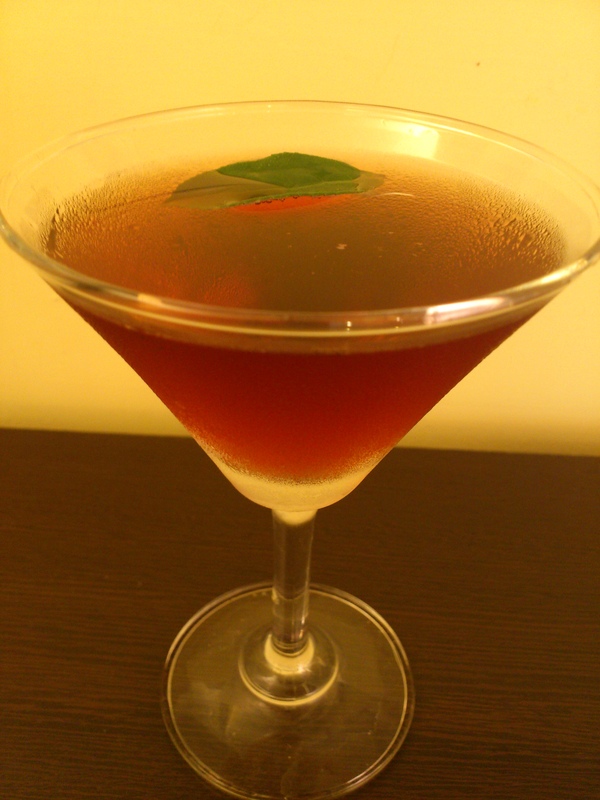 The Bobby Burns is a Rob Roy variation with added Benedictine. 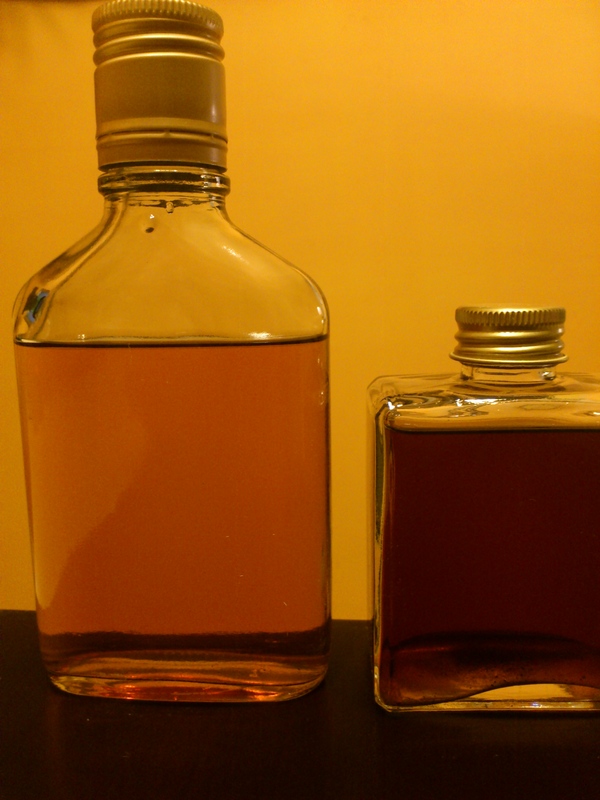 I used Green Chartreuse instead, as I thought the herbal grassiness would go nicely (and to add to the ‘green’ MxMo theme), and used the Fees Whiskey-Barrel-Aged for my bitters for similar reasons (but Angostura or, certainly, orange would have suited nicely, too). The Rob Roy itself is a Manhattan variation of course, and this was honestly the best, most complex Manhattan-style drink I’ve had. There were so many delicious layers of complementary flavour, each coming through clearly. The smoke of the Scotch, the pepper of the bitters, the herbal tones of the Chartreuse (slightly too dominant at 1 tsp – 1/2 would probably be better), and finally, and most satisfyingly, the deep earthiness of the Tie Guanyin tea for an impressively solid aftertaste. The name ‘Sucha’ (soo-char) is a bit of Chinese abbreviation from the words for Scotland and tea. 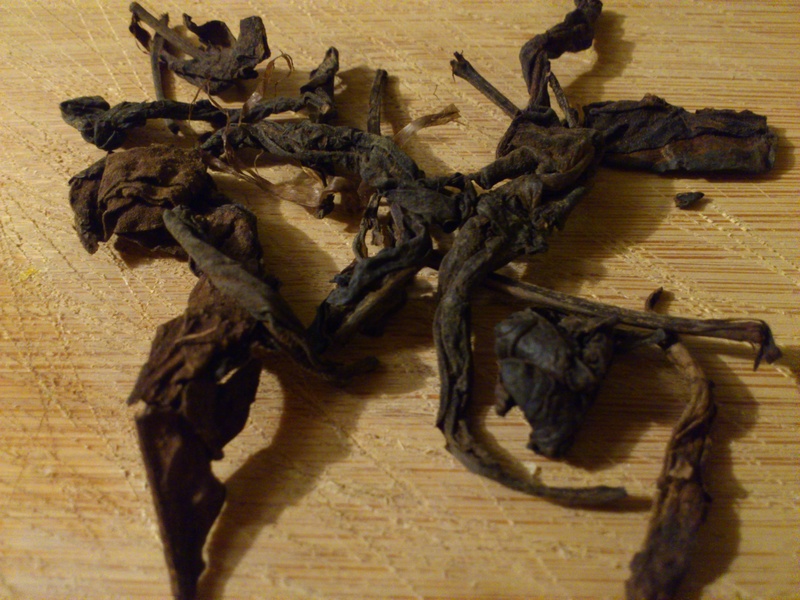 My results with the Tie Guanyin infusion and the Sucha Rob Roy, leave me more than happy with my experiment. The Pu-er Cha didn’t infuse quite as well (although it may have with a bit less infusion-time), but I still managed to make one very nice cocktail out of it. Stir all with ice. Strain into a chilled martini or coupe glass. Garnish with a lemon twist and, optionally, a tea leaf. This was actually very good, having pulled out the big guns – Lillet and St Germain are both divine potions, the latter with a reputation of being able to tame some of the wildest flavours. It worked in this case. The tea lily is a delicious, floral drink. It’s sweet overall, but the smoke, and strong tea flavours are still clearly there. 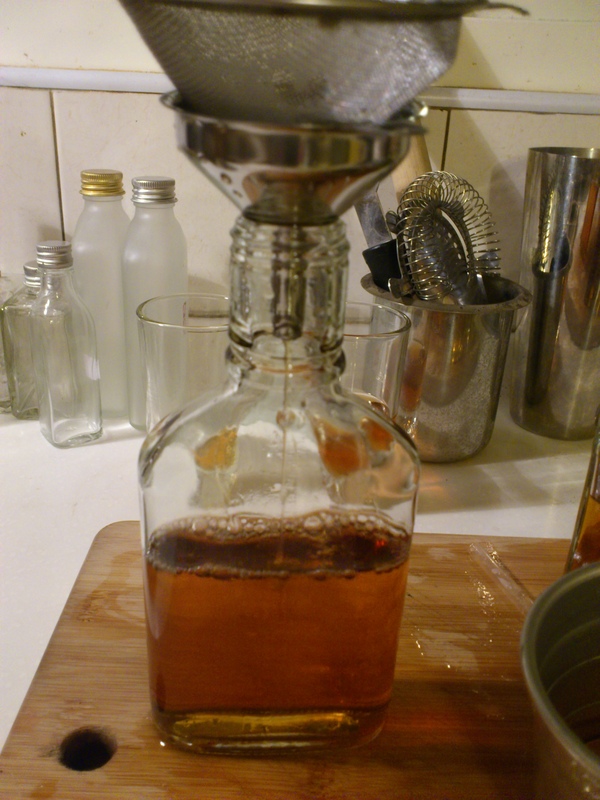 Final Conclusions: Infusing Taiwanese tea into smoky Scotch can really pay off, and is quick and easy to do. Of course, if you want to try, don’t hesitate to contact Tearroir to get some fine quality Tawian teas. And if you like this post, please check out some of the other contributors to Mixology Monday. Most of them know a lot more about cocktails than I do. Looks like you are a master-infuser now! These sound delicious! Thanks, Alicia. I would never have infused anything if it wasn’t for your wonderful blog. Yay! That’s the point! So easy too, right!?! Thanks again, Austin – it was a great experiment/ experience. Sounds delicious, Brian! I started getting into tea a few years ago and what I learned about steeping is that your tea will only end up bitter if you steep for too long. If you want something stronger, you have to add more leaves. I would assume the same goes for infusing with a spirit. But when the temperature of the liquid is lower (as is the case here), the steeping times will be extended. Your method of tasting every so often seems like a really good way of figuring out how long to go. I’d just recommend tasting for bitterness rather than strength along the way. Glad it all worked out, and this is definitely something I’ll have to try! Thanks, I see what you mean. If it gets bitter, try more leaves rather than more time. That makes sense. I gotta admit I don’t reall do infusions but I have been using tea more in my cocktails. This was a really fun read! Thanks for the comment. I forgot to mention in my post that I have played around with tea in cocktails before, but I ran into a problem. The taste is usually subtler than that of other ingredients, but rasing the quantity of the tea tends to make the drink too watery, that’s why I think infusing spirits is a good solution. I also read that some people infuse vermouth for tea Manhattans and other such drinks, and a further solution is tea syrups to substitute for the sweetener in a drink. I’ve done earl-grey infused gin once. It was incredible.